Following on from our first preview video for Sebastien Loeb Rally Evo yesterday, we are now happy to share with you guys our second part. We have a chat with Irvin Zonca, Head of Game Design at Milestone, and ask him about the various challenges the team have faced when moving over to the current generation consoles, the new lighting, graphics and audio, the choice of opting for 30 fps over 60fps and more. 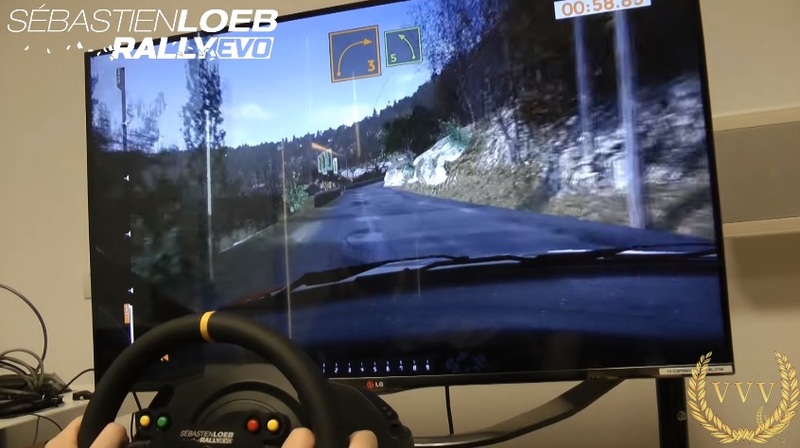 Zonca confirms that Sebastien Loeb Rally Evo features 300km of real rally roads and that the game took longer to develop than previous rally titles by Milestone. Also the game's tyre model was rebuilt from scratch which should make for a decent simulation experience according to Zonca, who also states that Sebastien Loeb will run at 30 fps on the Xbox One and PlayStation 4 and is unlocked for the PC. Running the game at 30 fps on the consoles enables Milestone to really go to town with the visuals, we can see very rich and detailed environments with impressive draw distances, not to mention decent lighting, shadows and weather effects too. To hear Zonca comments on Sebastien Loeb Rally Evo's sounds, physics and more check out the video below. Stay tuned for part 3 where we'll be playing the game and giving our early impressions.